G13 Blog: Is It Too Late Now? 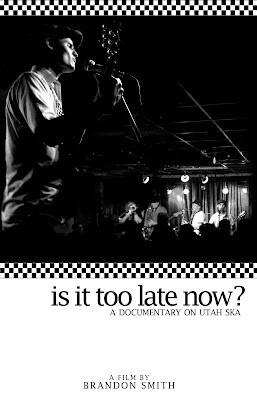 I just found out that Brandon Smith (of the Upstarts) is currently producing a documentary on Utah Ska entitled "Is It Too Late Now?". He asked me to possibly interview and I'm honored and excited for a project like this. Of course the Utah Ska Scene of the 90's is something that's dear to my heart and I think there was something about it that was very special. I'm excited to see how this comes out. Check out the production blog.